Sanjay Air Conditioners provides you Air Conditioner Installtion, AMC Plan, Air Conditioner Repair, Air Conditioner Service, Air Conditioner Buy, Air Conditioner Sale. 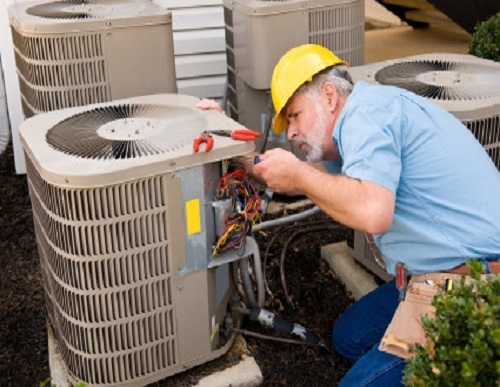 We provide an extensive range of services all the way from routine maintenance, air conditioner installation and more. It does not matter how big or how small a job may be, as we are always happy to help you with your specific needs. All Rang Of Air conditioner Services and Maintenance. Supply Installation of Ducting Insulation, Roof insulation etc. Supply Installation Of All Rang Of Compressor. Supply Installation of All Rang of Ductable & Package Acs. We are a proud leader in quality air conditioning and heating services. We provide an extensive range of services all the way from routine maintenance, air conditioner installation and more. It does not matter how big or how small a job may be, as we are always happy to help you with your specific needs. We improves the air quality within your home or office. Properly servicing you air conditioning system may prevent repairs down the road, saving you time and money.